Stachybotrys is a species of fungi commonly refered to as “black mold”, or “toxic black mold”. 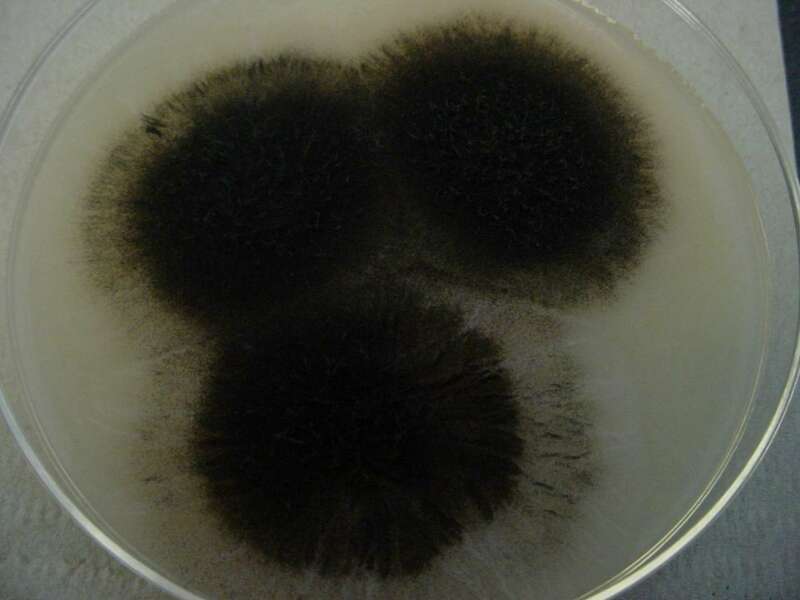 This type of toxigenic black mold is frequently associated with poor indoor air quality because of it’s ability to produce spores (stressors which can impact your air quality) but also because of it’s ability to produce mycotoxins. Stachybotrys is typically found on water damaged building materials such as ceiling tiles, gypsum board, insulation backing, sheet rock and wall paper. Health Canada has determined Stacybotrys to be Type 1 (hay fever, asthma) symptom producing and is known as one of the most toxigenic species of mold. The presence of this fungus can be significant due to its ability to produce mycotoxins and exposure can occur through ingesting, inhalation or skin exposure. Some reported symptoms of exposure to the mycotoxings in stachybotrys have been characterized by dermatitis (rash), cough, rhinitis, itching or burning sensation in the mouth, throat, nasal passages and eyes. Additionally, stachybotrys has been known to play a role in the development of “sick building syndrome”. In severe cases of exposure, or in cases made worse by an allergic reaction, symptoms may be extreme and include nausea, vomiting and bleeding in the lungs and nose. It is important to note that not all mold that looks black is Stachybotrys and, more importantly not all dark colored molds are toxigenic. For this reason, professional mold testing and mold inspection services are paramount to knowing potential dangers and health hazards.